Steve Jenkins is a Colorado author and illustrator. It only makes sense, then, that I would be a charter member of the Steve Jenkins' fan club. As I have said before, I think Jenkins, (sometimes in cahoots with wife Robin Page), writes some of the most interesting and visually attractive nonfiction out there for elementary and yeah, even middle and high school kids. In the past couple of years, I've reviewed lots of Jenkins' masterpieces: Down, Down, Down: A Journey to the Bottom of the Ocean, Bones and Never Smile at a Monkey, and How to Clean a Hippopotamus. 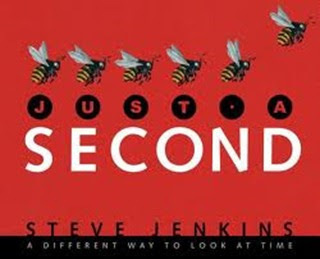 Jenkins' newest book, JUST A SECOND, came out in November. And it's definitely one of my favorites. JUST A SECOND looks at time, but it looks at time in a really unique way. Each two-page spread features 5-7 of Jenkins' classic collage-type illustrations about a certain period of time, all the way from a second to a week. On one of the "one second" spreads, for example, I learned, among other things, that a vulture in flight flaps its wings once, a hummingbird beats its wings 50 times, a bumblebee 200 times, and a midge (a kind of gnat) 1000. There are also pages for "Very Quick" and "Very Long." Many of the pages feature a fact about human population or use of the Earth's resources. The last few pages in the book are also classic Jenkins- more information on the subject organized in an entirely different way, but also fascinating in their own right. There's a one-page spiral-shaped history of the universe, a bar graph of the Earth's Human Population (with different continents done in different colors), and a two page spread about the lifespans of different plants and animals. Oh, and then there's a history of time and timekeeping. This one is a winner. So-far it's my nominee for CYBILS nonfiction picture book of 2012. Here's a link to a New York Times review. Most people know about the discrimination experienced by Jackie Robinson, the first African American baseball player in the major leagues. I would venture, however, that not nearly as many know the story of William Powell, the creator of the Clearview Golf Course in Canton, Ohio. 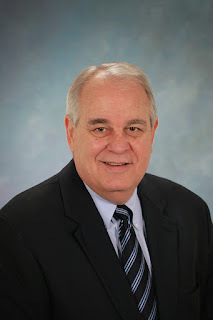 Richard Michelson, author of BUSING BREWSTER and LIPMAN PIKE is about to change that with his newest book, TWICE AS GOOD. Third grader Willie Powell was fascinated by the new golf course in his town, so much so that he would run the seven miles from his home to the course. When he asked a man to teach him to play, the man told Willie that "his kind" weren't welcome there. Willie persevered in visiting the course, however, and soon the man invited him to become a caddy. After several years of caddying, his mother's employer, Dr. Casey, finally taught him to play, and Willie eventually became the captain of his high school golf team. Throughout his growing up years, and on into his adult life, Willie always remembered the words of an elementary school principal, who had told him that if he wanted to get ahead in this world, he would always need to be "twice as good as the white children." When World War II started, Willie was drafted. In Europe, anyone could play any golf course, but when Willie returned to the United States, he once again encountered discrimination. "Folks don't mind me fighting for their freedom," he told his wife Marcella, "but they sure do mind me sharing their clubhouse." Willie decided that he would build his own golf course, where anyone would be welcome to play, so during the day, he worked on his course, then in the evenings, he supported his family by working as a security guard. Clearview started as a nine hole course, but today, it is an 18 hole course, run by Powell's daughter, Renee, who was the first African American member of the LPGA. I'm looking forward to sharing TWICE AS GOOD with my fourth graders on Monday. It will be a really important addition to our African American history basket. Life is bittersweet right now. "Do you know why some species eat their young? It's so they won't have to deal with teenagers." is a lot like that. Son #1 got a letter of intent yesterday. Poetry Friday is at "Hey, Jim Hill!" "I’ll give you my sporting analogy. 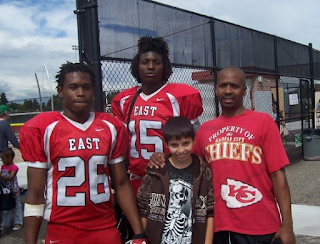 Do you think football coaches should know anything about football? Do you think football coaches should have ever played football? Would anyone ever hire a football coach that had never played the game and didn’t know anything about it? One of the things that I find most worrisome is that 53% of teachers in the first three years of teaching say that they didn’t read a single book, over half of our beginning teachers have never read a single book in the first few years of teaching, which made me go a ways in understanding why so many kids don’t read books. If you don’t read books I don’t know how you’d ever share the joys of reading with kids who are learning to read." 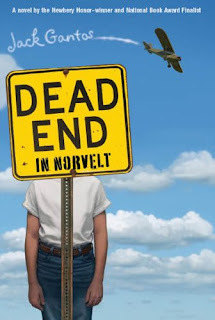 Dead End in Norvelt,” by Jack Gantos- haven't read this one or even heard much about it. Breaking Stalin’s Nose, written and illustrated by Eugene Yelchin- I hadn't heard of this one-- went hunting for reviews, they look great. Also found out that Yelchin illustrated WONTON, which I love. 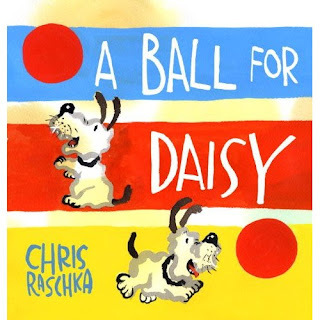 A Ball for Daisy," illustrated and written by Chris Raschka- I'm a long time Chris Raschka fan, and read this one just last wee, in one of my Tattered Cover forays. .
“Blackout,” illustrated and written by John Rocco- Nope, I haven't read this one. Don't even remember seeing it anywhere. "Grandpa Green" Loved this. Thought it was unusual enough that maybe it would win. “Where Things Come Back,” by John Corey Whaley- I haven't read this one, but did read a couple of interviews online today, and I'm thinking I might have to hunt it down. “Heart and Soul: The Story of America and African Americans” I love anything Kadir and am actually reading this one to my fourth graders right now. “Soldier Bear” is the 2012 Batchelder Award winner. “The Lily Pond,” written by Annika Thor, and translated by Linda Schenck. “The Cazuela that the Farm Maiden Stirred,” illustrated by Rafael López, written by Samantha R. Vamos - haven't read this but I did add it to my list after MaryLee reviewed it last week. That counts, right? Robert F. Sibert Informational Book Award for most distinguished informational book for children- 0/5- not quite sure how that could have happened, given that I love nonfiction and read tons of it! “Balloons over Broadway: The True Story of the Puppeteer of Macy’s Parade,” written by Melissa Sweet- not supposed to admit that I haven't read this right, even though everyone has been raving about it for months. I did put it on reserve at the library. "Witches! : The Absolutely True Tale of Disaster in Salem" written and illustrated by Rosalyn Schanzerand published by the National Geographic Society. "Tales for Very Picky Eaters," haven't read this, or even seen it. "I Want My Hat Back," written and illustrated by Jon Klassen- I know everyone in the whole Twitter world loves this one. "See Me Run," written and illustrated by Paul Meisel- haven't read this one yet. Guess I have my work cut out for me! For the past couple of weeks, everyone on Twitter has been "talking" about Christopher Paul Curtis' new book, THE MIGHTY MISS MALONE. I've been trying to resist buying books, but last weekend, I couldn't stand it anymore. I broke down and bought THE MIGHTY MISS MALONE. It was definitely a good purchase! 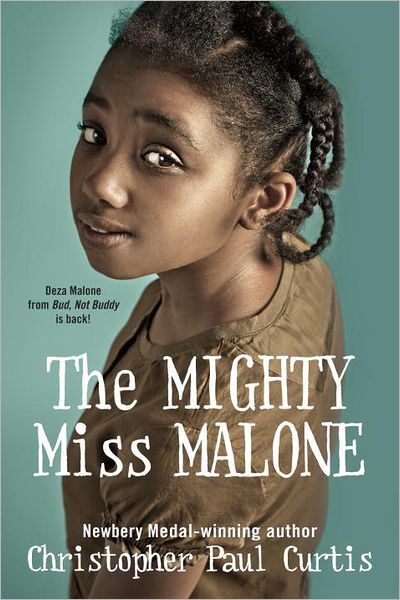 Deza Malone is a sixth grader, living with her family in Gary, Indiana at the height of the Great Depression. Deza's father, who she adores, is unable to find work, and eventually leaves the family and heads for Flint, Michigan, where he believes that jobs will be more plentiful. He promises he will write and send for the family, but when Deza, Jimmy, and their mom don't hear for him for several months, they decide to hit the road to try to find him. They end up in a homeless camp outside of Flint. There's lots to love about this book. Historical fiction is one of my favorite genre, and this book is terrific. It's rich with details from that time period-- e.g. Deza's family doesn't have money to send her to the dentist, so she holds cotton with camphor in her mouth to dull the pain. I love the character of Deza-- she's smart, and spunky, and tough, and resourceful. Just the kind of gal I would want for a friend! A terrific read. I didn't want to put it down! I interrupt my regular Poetry Friday posts to do a little shameless advertising. Each year, an uber-dedicated team of people from my district publishes an anthology of student poems from around the district. The team is led by a fourth grade teacher, Steve Replogle. 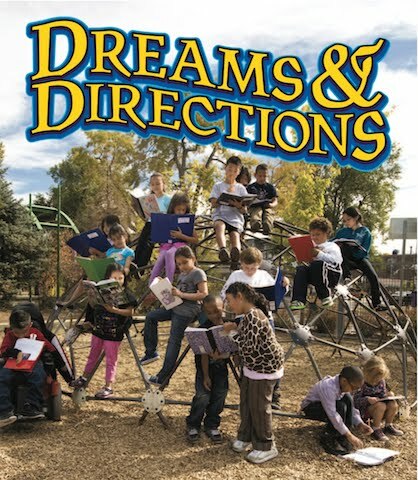 This year's version, DREAMS AND DIRECTIONS, came out about a month ago. 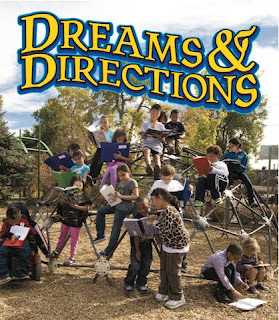 DREAMS AND DIRECTIONS contains over 200 poems written by students in grades K-5. Previous volumes have been organized thematically, this year's poems are grouped by the areas in the city. Poems are illustrated by secondary students from the district's Career Education Center. An added feature-- the book has two indexes. The first, as one might expect, is alphabetical by title, but the second is organized by poetic form or tool-- haiku, humor, onomatopoeia, similes, surprise endings, etc. Perhaps only a teacher who has frantically searched for a poem with an extended metaphor five minutes before her students arrived can appreciate this feature, but I thought it was way cool! How do you know when what? How do you know when the stars will far? The website for DREAMS AND DIRECTIONS, as well as the three previous volumes of poetry, is here. You can purchase DREAMS AND DIRECTIONS at my favorite local independent bookseller, THE TATTERED COVER. Elaine Magliaro is hosting POETRY FRIDAY at WILD ROSE READER. Sunday afternoon. Tired of being in the company of people who have an opinion about everything and feel the need to share it (aka teenagers! ), I escape to the Tattered Cover to work on my CCIRA presentation about using picture books with older students. Before I enter, I tell myself I can only buy one book. Just one. I have just paid off Christmas, Son #1 has a birthday this week, and now, on top of everything else, I have to buy a new car. "Only one book," I say to myself firmly, as I push open the door of the bookstore, notebook in hand. My intentions really are good. I am only going to buy one book. I think it will be Kadir Nelson's HEART AND SOUL, but on the way down the stairs to the children's department, I spy Shane Evans' MARCH ON and scoop that up. I loved THE UNDERGROUND and have heard good things about this one. I plant myself in a chair next to a rotating display of New York Times book winners. 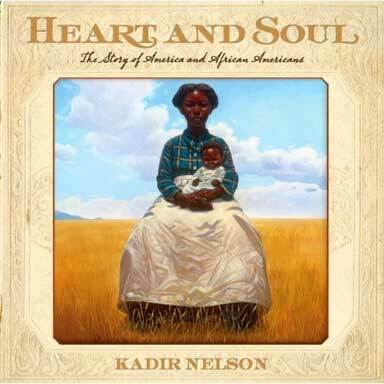 There I find HEART AND SOUL, but also A NATION'S HOPE: THE STORY OF JOE LOUIS, written by Matt DeLa Pena and illustrated by Kadir Nelson. Now I have a stack of three. "Only one book," I tell myself. "I am only buying one book." Sadly, I return MARCH ON and NATION'S HOPE to the display. As I put them back, I notice OLIVIA'S BIRDS: SAVING THE GULF. We are working on an ecosystems unit now in science, and this book looks perfect. As I leaf through it, I discover it has been written by an eleven-year-old girl. My students are in the middle of illustrating their own picture books, and this book would be perfect. "Only one book," I tell myself, but my resolve is weakening, and somehow, OLIVIA'S BIRDS makes its way into my stack. I look at a few more books, but manage to refrain from adding GRANDPA GREEN, MIGRANT, PASSING THE MUSIC DOWN, WHERE'S WALRUS, and A BALL FOR DAISY to my stack. I make my way into the room where children's books are housed. On the way in, I peruse the books chosen by Tattered Cover employees. I leaf through STAR OF FEAR, STAR OF HOPE, a gorgeous Holocaust picture book. "Only two books," I tell myself. "You are only buying two books. If you want this one, you have to put OLIVIA or Kadir back." I move on to nonfiction. There I discover two amazing new books about the Titanic. Stories of a cruise liner sinking off the coast of Italy have filled the news all weekend, and I know my kids would love TITANIC SINKS by Brian Denenberg and EXPLORE TITANIC by Peter Chrisp and Somchith Vongprachanh. I imagine handing these to Cameron and Taylor. Oh my gosh. They would love them. "Only two books," I remind myself. "You are only buying two books." I remember that I have an Amazon card at home and move on. I stop for a second to look at novels and spy Christopher Paul Curtis' THE MIGHTY MISS MALONE. Twitter has been abuzz about this book all weekend. Everyone is talking about how great it is. I have just finished GABBY and need something new to read tonight. My resolve wavers again. "Maybe I can do three," I think. "Three is not that many." I add it to my pile. From there I move to the picture book section. I am sitting on the couch looking at books that I am absolutely not buying, I am just reading the titles, when I overhear a woman talking to the clerk. Her daughter is having a baby. She is leaving for Ohio and wants some paperbacks to take to the older siblings of the new baby. I know just the book-- BOSS BABY by Marla Frazee. Then I remember that Raul's mom is having her baby this weekend. We need a book to celebrate. Even though I have loved BOSS BABY for over a year, I do not own it. I add it to my stack. 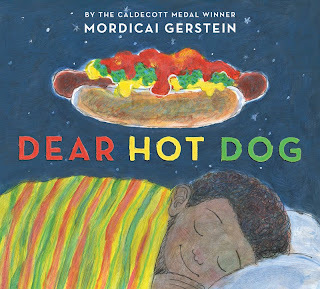 It will be a perfect read aloud on Tuesday morning. "I gotta get out of here," I think to myself. "This is getting way too expensive." On the way out of the children's department, I see the newest edition of poetry by DPS children. I have the other three. I really need this one too. My stack of five books is teetering a little as I walk up the stairs to the cashier. That's my word for 2012.
before he heads out into the world. Full of gratitude, this collection renews a reader’s appreciation for the stuff we touch and use each day, stuff that just might have feelings of its own. From morning through evening, Gerstein speaks to and about humble things, elevating them through observation and questions. We come to see that autumn leaves are really wearing Halloween costumes and hear a toothbrush “gargling your little song.” A cup “puts a handle” on liquids and a hot dog is “snug as a puppy in your bready bun. For the first time, we wonder where light goes in the darkness. By celebrating daily objects, this delightful tribute offers readers of all ages a way to see our own lives – with whimsy, wonder, and thankfulness for the small stuff of our own lives. (In the book it's really printed in two columns, the first ten lines on the left hand side, the last ten on the right, but I can't figure out how to make blogspot do that, my apologies to Mr. Gerstein). I will be pairing this book with another favorite "savoring" book, dear world, by Takayo Noda. Poetry Friday is at A Teaching Life. Thanks for hosting, Tara! Way too much going on right now. We are in countdown mode until our state's "blessed event" (7 weeks, I think, but maybe eight, I sort of lost count) and I have a son who might graduate from high school and only knows that he wants to play football, and my school is closing and I have to find a new job, and so I did what I always do when life gets more intense than I can handle. I read. This was a week of adult reads, which is actually pretty unusual for me. 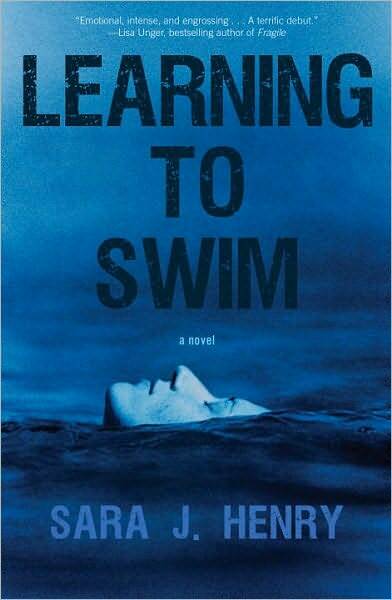 I always have at least one adult book going, but it usually takes me several weeks to get through them. This week I got through two, nibbled at a third, and also worked on THE ART OF SLOW READING by Tom Newkirk. My book club has been reading Alice Hoffman's THE DOVEKEEPERS since November. 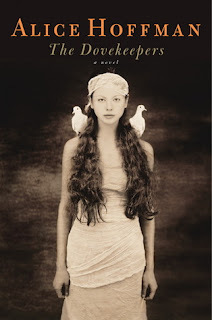 It's historical fiction, set in Israel and the surrounding area, and tells the stories of four women who came together as dove keepers in a besieged town. It kind of reminds me of THE RED TENT, which I read several years ago. 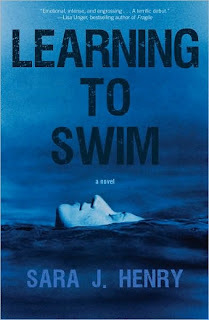 It's very good, and very sad, and very intense, and very literary, and I'm having a really hard time getting through it. I think I will go back and finish it, but probably not until things are a little less crazy in my own life, maybe this summer, I will be able to tackle it. I found GABBY at the library, started it over break, and finished it this weekend. I am fascinated by the stories of people's lives and this book, a biography/memoir written mostly by Gabby's husband, astronaut Mark Kelly (with help from Jeff Zaslow, who is the author of several other biography/memoirs I have enjoyed) was interesting. I was fascinated by the decisions that they had to make when someone who is a very public person was injured, about how therapists used music to reactivate Giffords' language, and about Kelly's stories about his life as an astronaut. Only the last chapter is actually written by Giffords- at the point when the book was written she was not yet speaking in full sentences, and the last chapter is only a couple of pages, written mostly in phrases. I think it would be a really interesting piece to use to talk about voice. As a little girl, one of my favorite parts of summer was going to the bookmobile at the parking lot of the Albertson's Grocery Store (I know, a total book nerd thing to admit!). 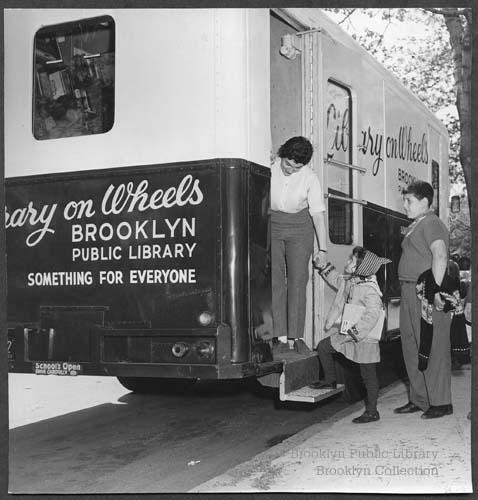 Every Monday afternoon, Mrs. Holly, who was as wide as the aisle of the beloved book van, would welcome us to paradise, my memories are much like those that I found in this photograph of this Brooklyn bookmobile. Mrs. Holly knew my name, knew my tastes as a reader, and would set aside books she thought I would like. I would check out as many as she'd let me take, and sometimes sneak a few extras on my sisters' cards, then I'd head home, set for the week. Earlier this week I discovered "The Bookmobile" by Linda Sutphen in an article on the Choice Literacy website. …Even when it arrives, I have to wait. the inky pad and the lined cards. Read an interview of Joyce Sutphen, Poet Laureate of Minnesota, here. The article where I first read the poem is a "must read" for teachers, librarians, and anyone who cares about kids and literacy. You can find it on the CHOICE LITERACY website, which is one of my favorite sources for professional learning. And here is the Vicki Vinton's blog, where the piece originally appeared. Poetry Friday is at Teaching Authors.